Welcome to Grandpa's Charters where EVERYONE'S fishing dreams come true! Grandpa Charters is now offering spear fish trips to those who have their own gear. Free diving only! Give me a call for more details. 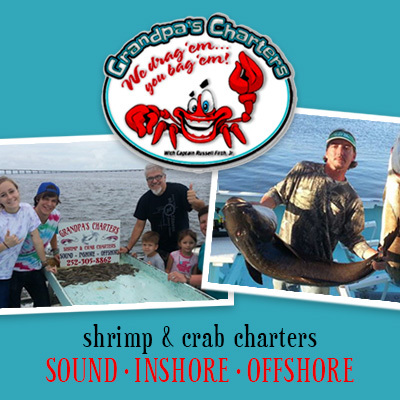 Shrimp & Crab Charters, Sound Inshore and Offshore Fishing, as well as Specialty Charters! We are the only boat in the fleet that is handicap accessible!